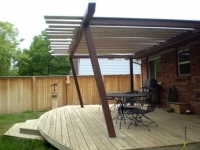 Brian will work with you to design and construct your desired deck. 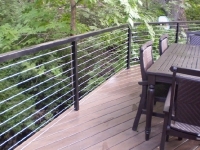 Decks are constructed from Pressure Treated, Cedar or Redwood Lumber or newer, eco-friendly products such as Trex and Timber Tech® composite decking. 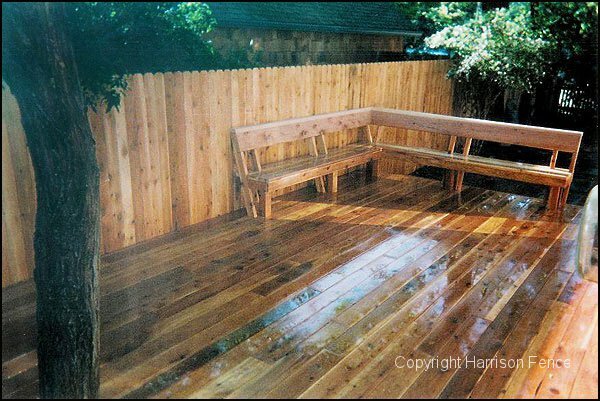 This redwood deck compliments the new cedar privacy fence and includes a built-in seating option. 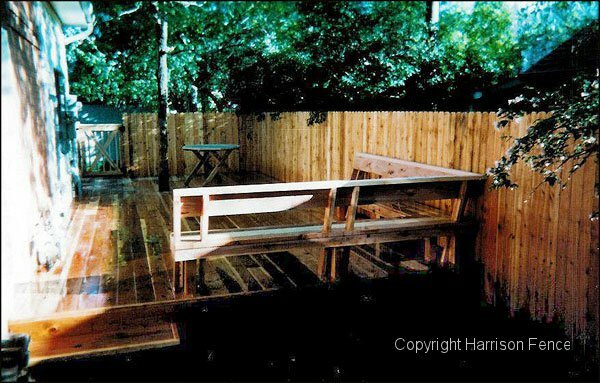 Redwood deck with a built-in seating option. 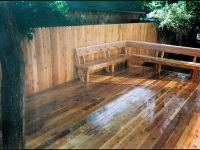 Pressure treated lumber which will withstand the elements and is a cost-effective alternative to redwood and composite products. 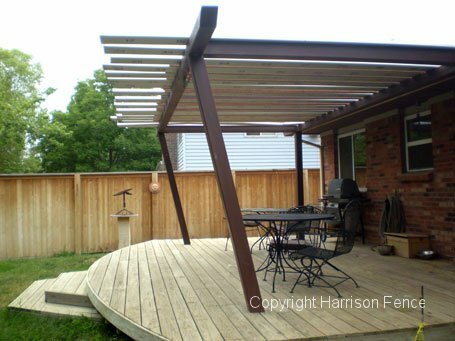 Steel pergola constructed using old stadium seats from the University of Colorado's Folsom Field. 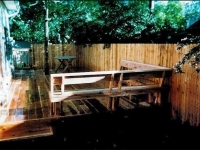 Composite decking is made from recycled plastics. 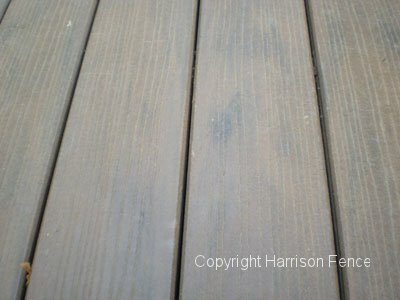 Composite materials are low or maintenance-free and can achieve the beauty of wood with the durability of plastics. 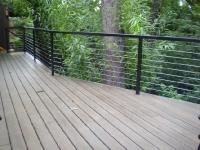 This handrail was custom fabricated and has a powder-coated finish. 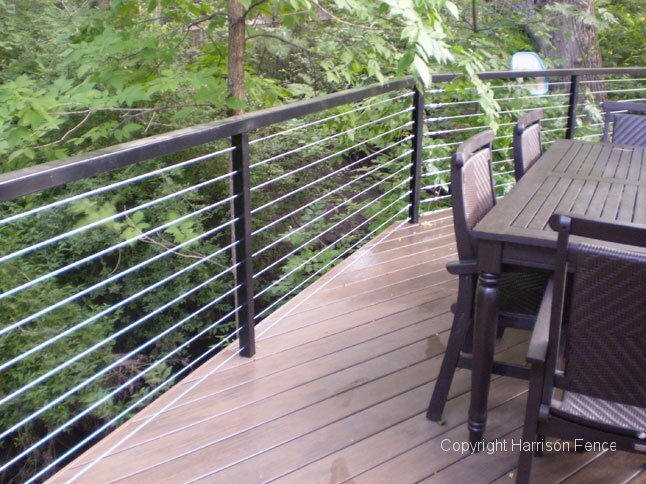 This deck uses a steel cable handrail system but Harrison Fence can help you create a custom handrail using alternate materials such as composites, steel, glass, wood or wire. 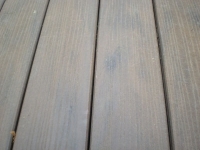 Close-up of the composite deck. As you can see, the colors and texture are created to look like natural wood, without all the work! 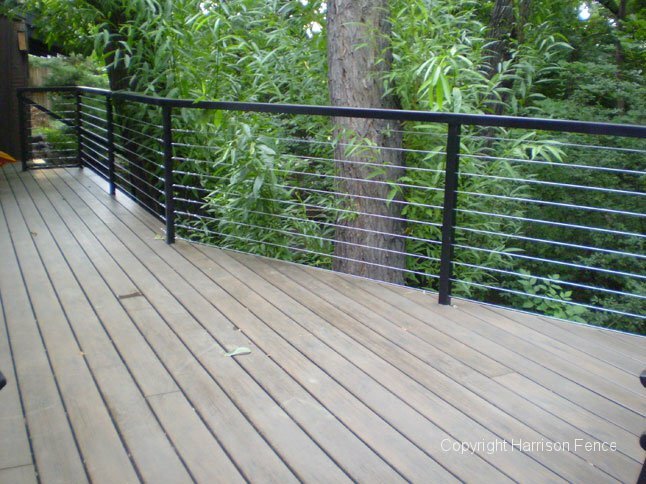 The brand chosen by the homeowner for this deck is Timber Tech® (see above).